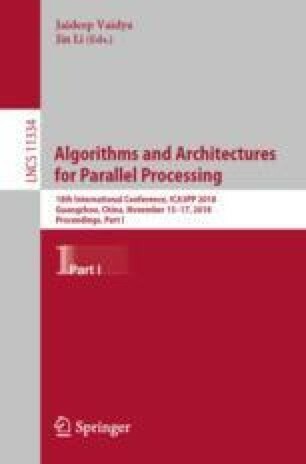 This paper envisions a future in which high performance and energy-modest parallel computing on low-end edge devices were achieved through cross-device functionality abstraction to make them interactive to cloud machines. Rather, there has been little exploration of the overall optimization into kernel processing can deliver for increasingly popular but heavy burden on low-end edge devices. Our idea here is to extend the capability of functionality abstraction across edge clients and cloud servers to identify the computation-intensive code regions automatically and execute the instantiation on the server at runtime. This paper is an attempt to explore this vision, ponder on the principle, and take the first steps towards addressing some of the challenges with Open image in new window . As a kernel-level solution, Open image in new window enables edge devices to abstract not only application layer but also system layer functionalities, as if they were to instantiate the abstracted function inside the same Open image in new window kernel programming. Experimental results demonstrate that Open image in new window makes cross-kernel functionality abstraction efficient for low-end edge devices and benefits them significant performance optimization than the default scheme unless in a constraint of low transmission bandwidth. We thank the anonymous reviewers for their valuable and insightful comments. This work is supported by Tsinghua University Initiative Scientific Research Program under Grants No. 20161080066.